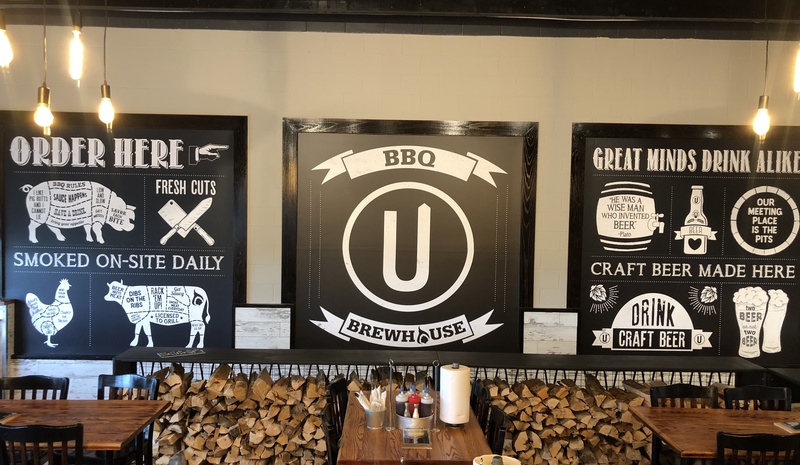 The Upstreet BBQ Brewhouse opens today at 11 AM, featuring on-site brewed beer and food prepared in their kitchen, including a full BBQ pit and chicken rotisserie. 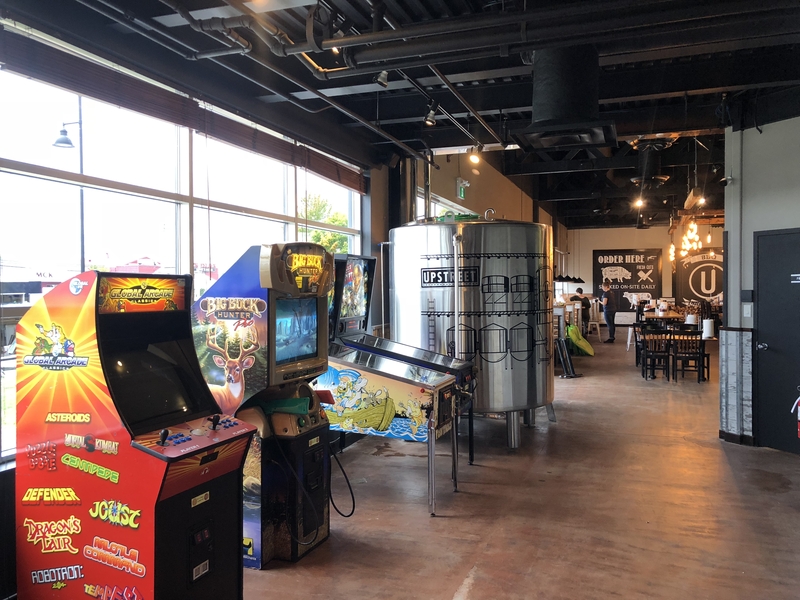 Located at 612 Windmill Rd in Dartmouth, this is the first foray to the mainland for Upstreet Craft Brewing, who opened their Allen Street location in Charlottetown in Summer 2015, and their Craft Beer Corner retail location earlier this year. 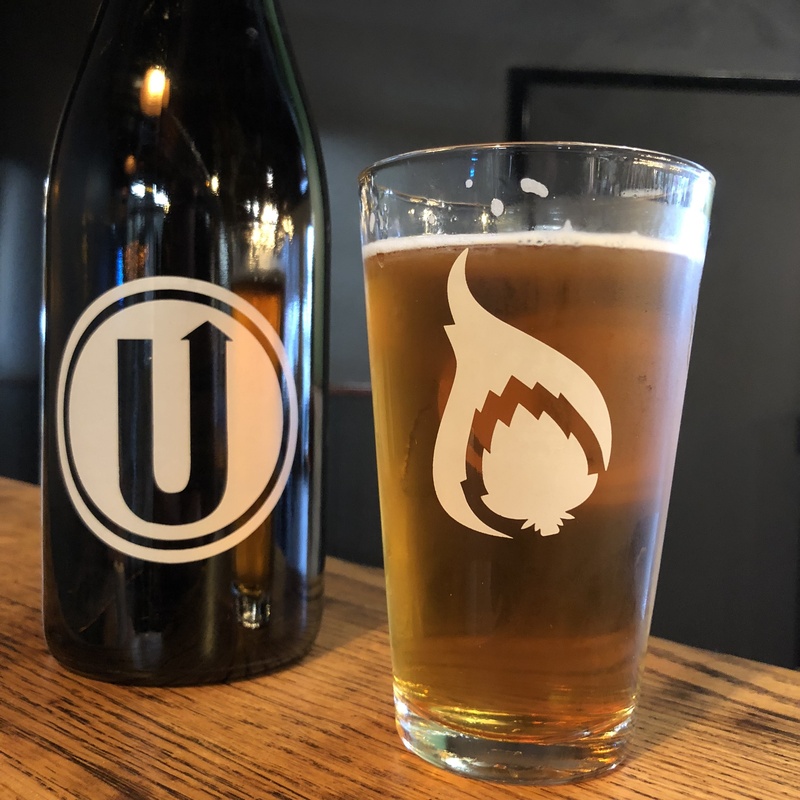 In Nova Scotia, the Upstreet crew will be taking care of the beer but have teamed up with Chef Bill Pratt whose team will be running the food side of the house. Chef Pratt worked his way through kitchens in the Royal Canadian Navy for 27 years, before retiring as Command Food Services Chief (in charge of all cooks in the Navy!) and moving to private industry. After cooking in hotels and restaurants across the country and beyond, he founded Chef Inspired, known for the Cheese Curds and Habaneros restaurants found across Nova Scotia and New Brunswick. The brewery filling the taps at the BBQ Brewhouse is a 10 BBL (1200 litre) electric-fired system visible just behind the main bar, which features a beautiful live wood edge. 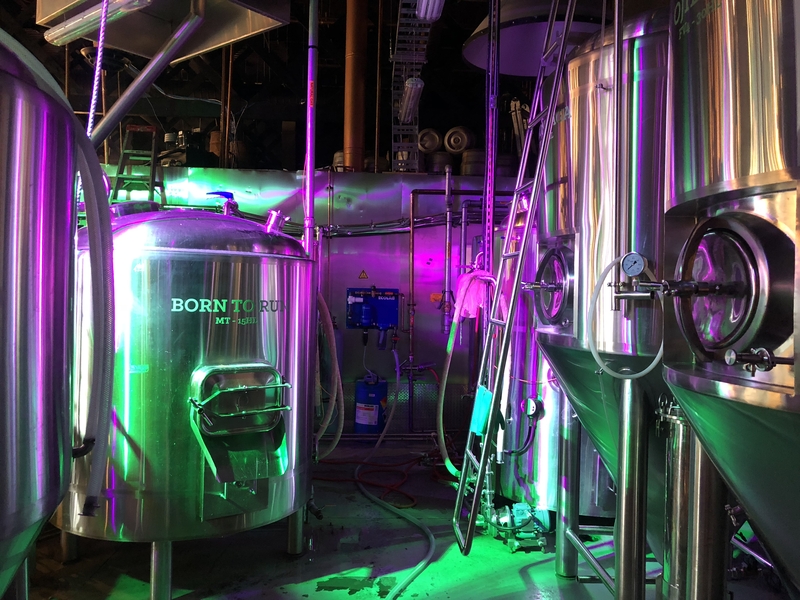 With two 10 BBL (1200 litre) and three 20 BBL (2400 litre) uni-tanks (for both fermentation and conditioning/carbonation), the one-man brewing crew has been busy for the past couple of months getting ready for opening day. 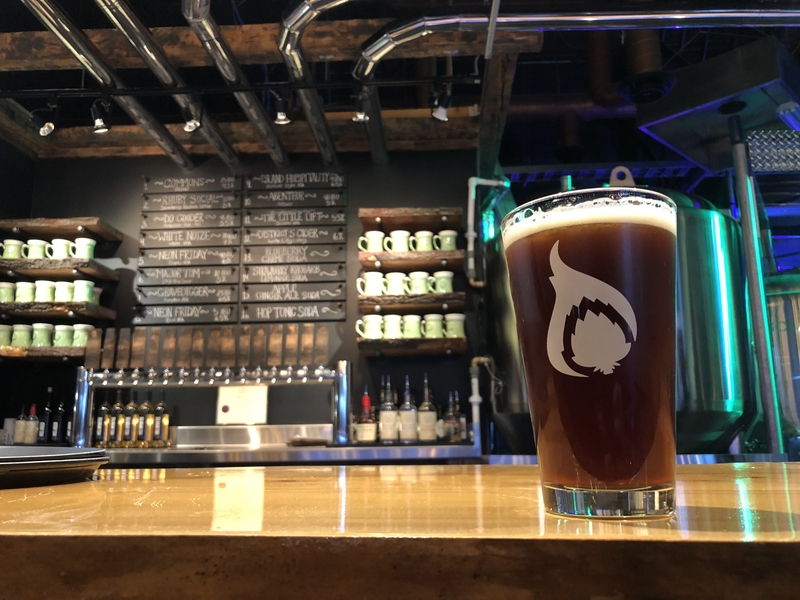 Upstreet’s Brewmaster Mike Hogan, better known as Hogie to all who know him, temporarily transplanted himself to HRM to dial in the system, tweak the recipes, and get everything tasting *just right*. 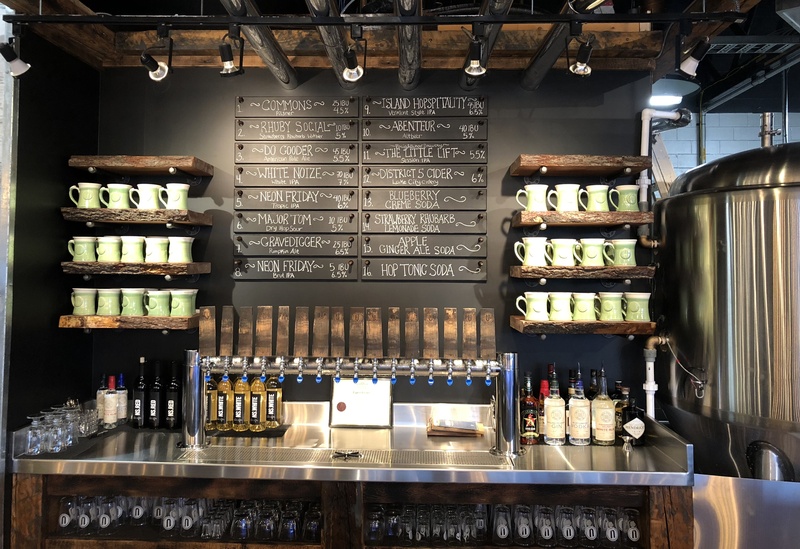 As for what to expect on tap in Dartmouth, fans of Upstreet’s core beers will not be disappointed: Nova Scotia-brewed Commons Pilsner, Do Gooder APA, Rhuby Social Strawberry Rhubarb Witbier, and White Noize White IPA are all on tap. Joining them are a rotating group of seasonals, with Gravedigger Pumpkin Ale, Island Hopspitality Vermont IPA, plus their new Abenteur Altbier and the latest Neon Friday release: Brut IPA With Hallertau Blanc (visitors today may even get a sneak peek at tomorrow’s Neon Friday Tropic IPA). But wait, there’s more! Launching today in both Dartmouth and Charlottetown is their Major Tom Sour, a 5.0% ABV dry-hopped sour, with deep citrus (grapefruit) notes and a bright acidity. In addition to all of these Upstreet beers, they will be rotating in some beer and cider guest taps as room becomes available. And for the alcohol-free crowd, four of their East Coast Craft Soda line are on tap, rounding out the 16-tap selection. As we’ve already mentioned, beer is only part of the equation, with the BBQ pit seeing constant action for hours before and after opening, to get the meat just right. 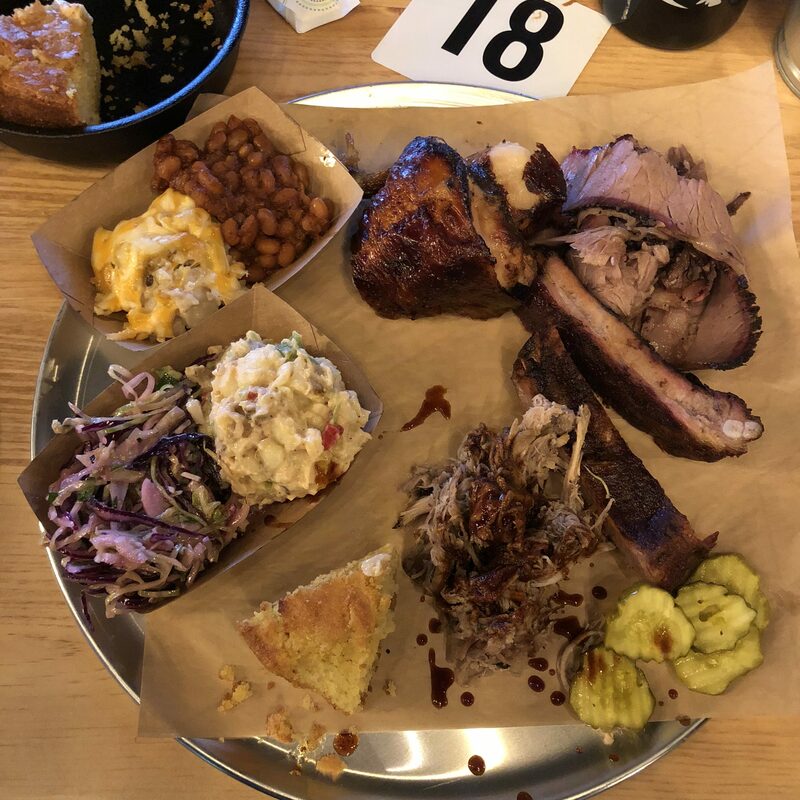 After fact-finding missions to BBQ country to learn some best practices, the team has honed their skills to bring you St. Louis Pork Ribs, Brisket, Pulled Pork, Cheddar & Beer Sausage, Churrasco Chicken, and even a vegan option with Smoked Jackfruit. The sides available reflect traditional as well as local tastes, including BBQ Beer Beans, Mac ‘n Cheese and Potato Gratin, plus a variety of slaws and salads. Meats can be purchased by weight or on platters for one or more to share. 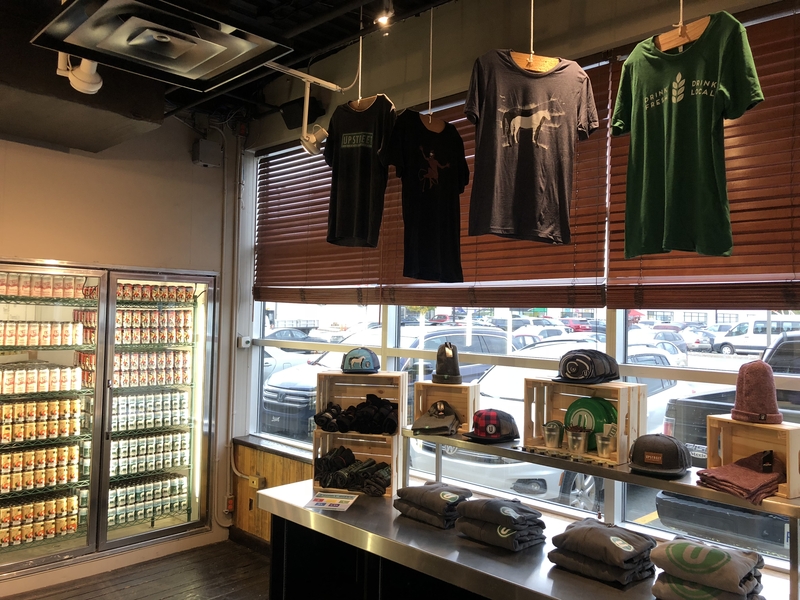 Leveraging the work of former tenants of the space, the BBQ Brewhouse also has a retail area, where take out food orders can be picked up, packaged beers can be purchased, and growlers and crowlers can be filled and taken away (and don’t worry, there’s plenty of Upstreet swag available too). Thanks to NSLC regulations, only beer brewed on Windmill Road can be taken to go, which means cans, bottles, crowlers and growlers of the four core beers as well as the seasonals brewed on-site (at launch time those are the Neon Friday Tropic IPA and Major Tom Sour). Drop by today at 11 AM to get your fill of the full line of beers brewed in-house, as well as on the Island; they’ve got lots of options to keep you happy! The Upstreet BBQ Brewhouse is open from 11 AM daily, excepting Mondays, when they’re closed. Closing time comes at 11 PM Sunday and Tues – Thurs, and 12 PM Fri – Sat, with the kitchen closing up shop a couple of hours earlier each night. 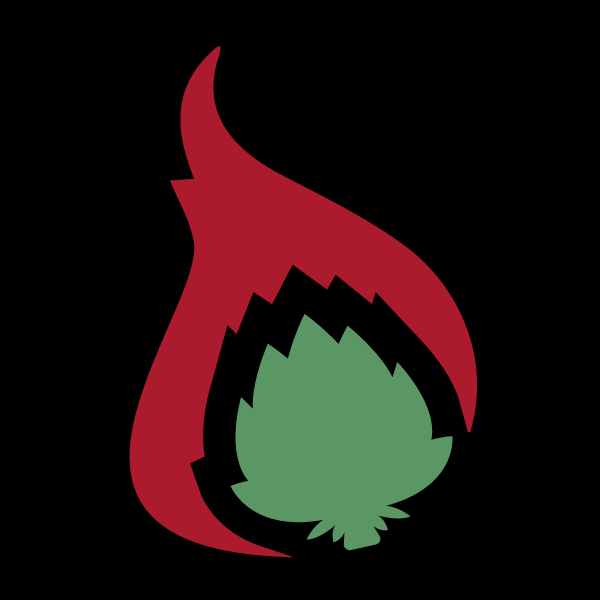 Keep an eye on their social media for all of the latest releases and menu teases and treats: Facebook, Instagram, and Twitter. Congratulations to the entire crew on opening! ← Friday Wrap-Up for October 5, 2018 – News from Big Axe, Niche, Port Rexton, North, Tata, and, as always, MORE! !